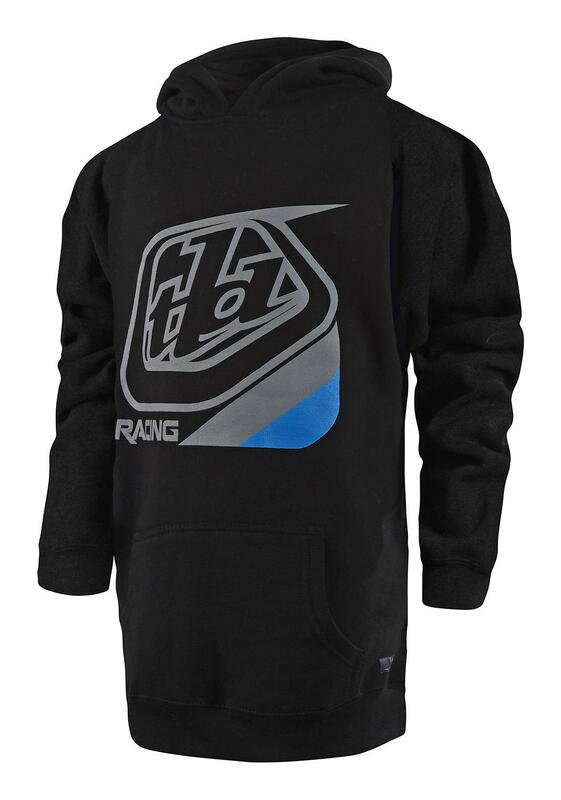 The Troy Lee Designs Precision Youth Hooded Pullover is constructed from a hard wearing mid-weight 80% Cotton/ 20% Polyester blend fabric. The chest features contrasting screen-printed TLD shield logo. Mid-weight 8.5 ounce, 80% Cotton/ 20% Polyester blend, pullover hooded sweatshirt. Front pouch pocket, with ribbed cuffs and waistband. TLD premium label on hem.